The Nest Collective's first book project—an anthology book that collects narratives from queer Kenyans across the country (see the film we made based on these accounts). While it is often a difficult experience living an open and free queer life, there are still many queer Kenyans attempting to negotiate their identities, sexuality, gender, belonging, faith, family life, political involvement, work, school and life in society within the ephemeral spheres of safety and acceptance. This anthology acknowledges these individual decisions to overcome fear and begin deeply personal, and very political life journeys. The act of publishing this book in an environment that is hostile to the lives contained within its pages is a radical endeavor, which is amplified by the fact that there is no hectoring at play here... This is an anthology that demands to be read again and again for its sheer ambition, scope and quiet power. ...I read the Childhood and First Times section. It’s a short section, with about 21 narratives. And it gutted me. 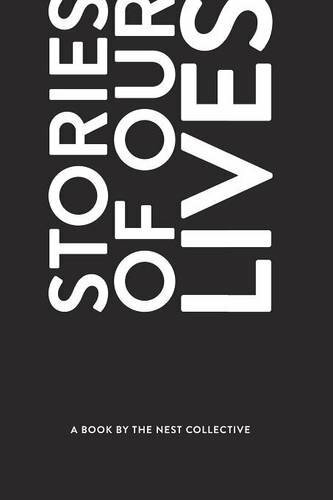 I had to stop reading Stories of Our Lives... Suicide haunts the white space in Stories of Our Lives. It haunts the ellipses. Keguro Macharia, in the conclusion to an extraordinary three part review (Part 01, Part 02, Part 03). Staccato in tone and by turns romantic, pensive, sad - even angry - the emotional struggles to be, to know and to be loved in these stories of queer identity are no different from the struggles that dog heterosexual Kenyans. Indeed, the essence of Stories of our Lives is the fundamental humanity that lies at the heart of the search for belonging that all Kenyans seek in family, religion, ethnicity, residential neighbourhoods, professional bodies, political parties, far off places and unknown 'others'.